I visited a bicycle shop a few days ago. I noticed two different types of bikes. One with thick front suspension and the other with thin front suspension. Bike with the thick suspension was more expensive. Does thick suspension provide benefits or just add weight? 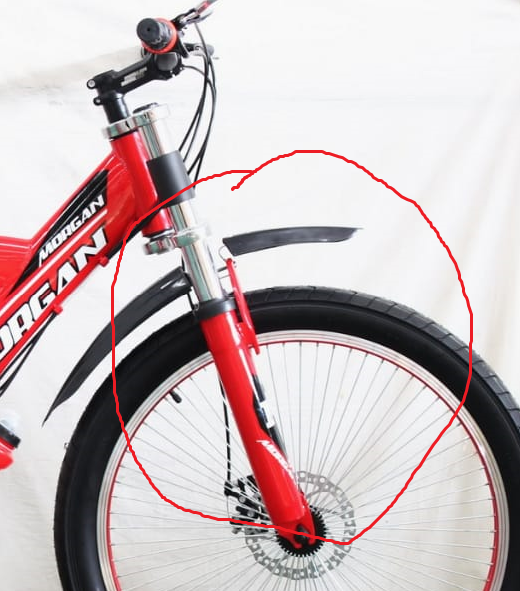 Is thin suspension more better than thick one? Fork-leg diameter is not really how you would classify suspension forks. Or more exactly, it is a way, but not really the most relevant. 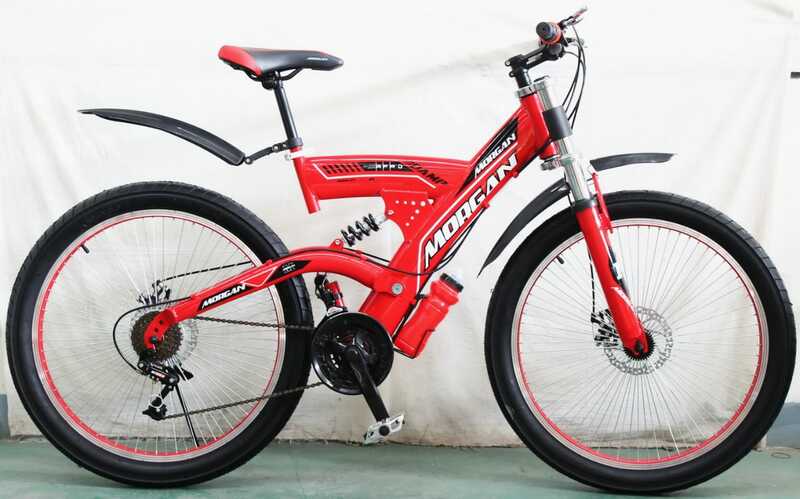 Suspension forks could be classified by how much travel they provide (different travel for different specific uses), the suspension mechanism (springs, fluid, elastomers, air, hybrid), the damping mechanism, etc. I suspect that both those bikes were pretty cheap, both probably use spring suspension, and neither is really intended for hard off-road use. A bigger-diameter tube isn't necessarily heavier, as it can be made with thinner walls. Well they do are a little bit sturdier. Bigger diametre is harder to bend than a thin one and should requiere less material. Other thing is that the one on the red bike is a double crown, which has the benefit of being sturdier on force loads from the front of the bike. But the most important aspect is the quality of the materials used. For example in my early days(circa 2000) I bought this "ZOOM 110 Inverted fork 20mm axle suspension with 40mm bars" which was a double crown and made out of aluminium. Thing was massive I felt like Josh Bender. After a couple drops(like 4) the thing bent forwards and was stuck, dad wanted to kill me. My old RST sigma xl on the other hand, was WAY better with 28mm steel bars, 14mm axle and was a standard fork, thing was bomb proof for the time. This one lasted a long time. So the most important aspect is the design and materials used. 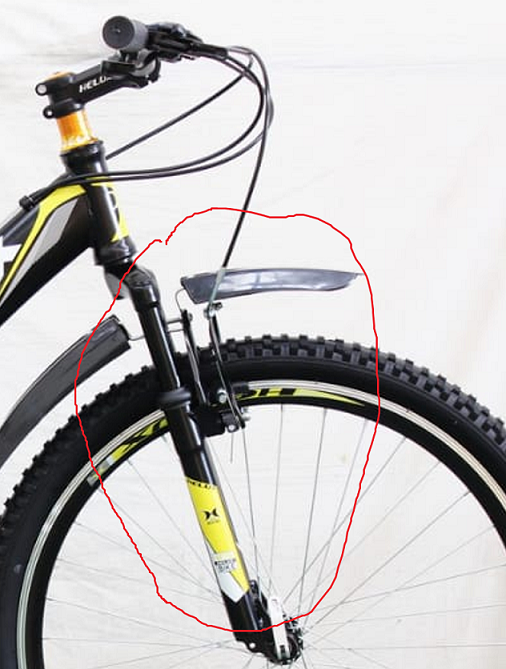 In this case both are about the same, probably the double crown is a little bit sturdier, but both are just an entry level fork and for lesiure rides you will be better of with the single crown fork. It should have the same ride quality with less weight. Not the answer you're looking for? 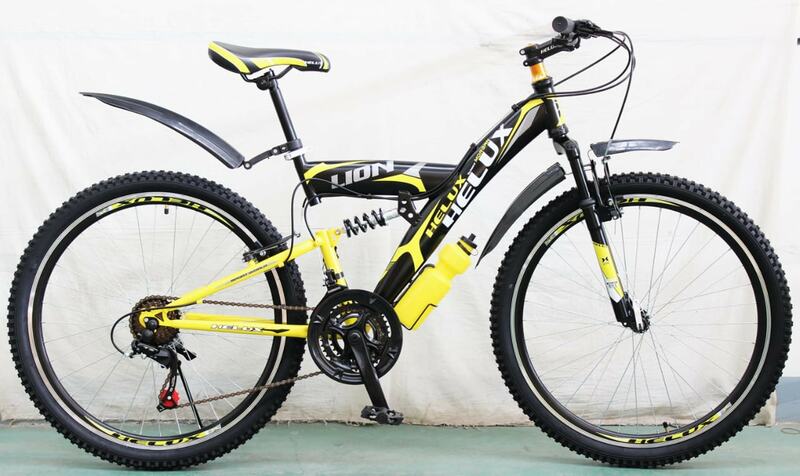 Browse other questions tagged mountain-bike suspension full-suspension front or ask your own question. MTB with gears or non gears, suspension or non-suspension for stunts?